KAS Australia’s mid-year clearance warehouse sale is back on! So don't miss out on a mega 4-day warehouse clearance sale from Thursday 20th August to Sunday 23rd August 2015. Opening hours are from 9am to 5pm on all 4 days and take advantage of some stellar discounts on their signature ranges. Brighten up your home with up to 80% off bedding, table settings, bathroom and beauty, bath and beach towels and much, much more. 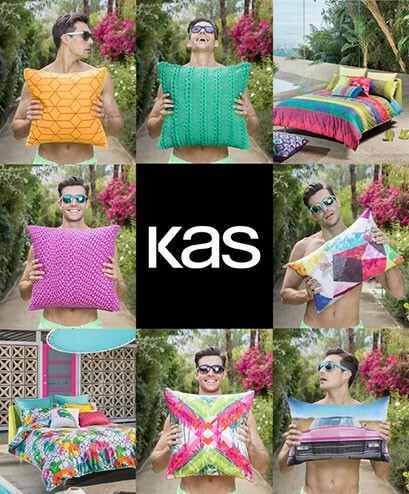 Choose from the beautiful vibrant prints which define the contemporary KAS Collection, or the clean, classic whites of the KAS White & KAS Onyx collection. Kids' stuff, beanbags, Placemats, Throws, cushion covers, & one-off samples up to 80% off!